(f) words and expressions used but not defined in this Chapter and defined in the Central Excise Act of 1944 (1 of 1944) or the rules made thereunder shall apply, so far as may be, in relation to service tax as they apply in relation to duty of excise. Section 96B. Vacancies, etc., not to invalidate proceedings — No proceeding before, or pronouncement of advance ruling by, the Authority under this Chapter shall be questioned or shall be invalid on the ground merely of the existence of any vacancy or defect in the constitution of the Authority. (3) The application shall be made in quadruplicate and be accompanied by a fee of two thousand five hundred rupees. (4) An applicant may withdraw an application within thirty days from the date of the application. Provided that where any records have been called for by the Authority in any case, such records shall, as soon as possible, be returned to the Commissioner of Central Excise. (b) the same as in a matter already decided by the Appellate Tribunal or any Court : Provided further that no application shall be rejected under this sub-section unless an opportunity has been given to the applicant of being heard: Provided also that where the application is rejected, reasons for such rejection shall be given in the order. (3) A copy of every order made under sub-section (2) shall be sent to the applicant and to the Commissioner of Central Excise. (5) On a request received from the applicant, the Authority shall, before pronouncing its advance ruling, provide an opportunity to the applicant of being heard, either in person or through a duly authorised representative. 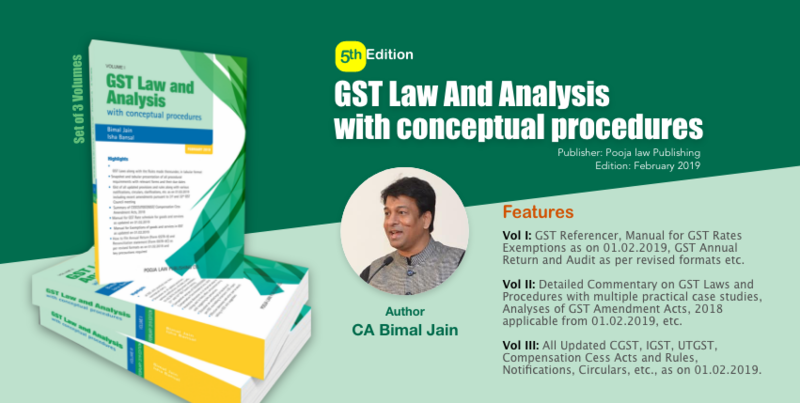 Explanation.- For the purposes of this sub-section, “authorised representative” has the meaning assigned to it in sub-section (2) of section 35Q of the Central Excise Act, 1944. (1 of 1944). (6) The Authority shall pronounce its advance ruling in writing within ninety days of the receipt of application. (7) A copy of the advance ruling pronounced by the Authority, duly signed by the Members and certified in the prescribed manner shall be sent to the applicant and to the Commissioner of Central Excise, as soon as may be, after such pronouncement. (c) on the Commissioner of Central Excise, and the Central Excise authorities subordinate to him, in respect of the applicant. (2) The advance ruling referred to in sub-section (1) shall be binding as aforesaid unless there is a change in law or facts on the basis of which the advance ruling has been pronounced. (1) Where the Authority finds, on a representation made to it by the Commissioner of Central Excise or otherwise, that an advance ruling pronounced by it under sub-section (4) of section 96D has been obtained by the applicant by fraud or misrepresentation of facts, it may, by order, declare such ruling to be void ab initio and thereupon all the provisions of this Chapter shall apply (after excluding the period beginning with the date of such advance ruling and ending with the date of order under this sub-section) to the applicant as if such advance ruling had never been made. (2) A copy of the order made under sub-section (1) shall be sent to the applicant and the Commissioner of Central Excise. Section 97. Special Provision for exemption in certain cases relating to management etc .of roads. (3) Notwithstanding anything contained in this Chapter, an application for the claim of refund of service tax shall be made within a period of six months from the date on which the Finance Bill, 2012 receives the assent of the President. (3) Notwithstanding anything contained in this Chapter, an application for the claim of refund of service tax shall be made within a period of six months from the date on which the Finance Bill, 20122 receives the assent of the President. Notwithstanding anything contained in section 66, as it stood prior to the 1st day of July, 2012, no service tax shall be levied or collected in respect of taxable services provided by the Indian Railways during the period prior to the 1st day of July, 2012, to the extent notices have been issued under section 73, up to the 28th day of February, 2013.